You stare at it and it stares straight back at you. You could never beat it at a staring contest, for it’s the ultimate opponent. Well, it doesn’t have eyes, BUT, you keep staring at it hoping you can still win, waiting for some inspiration. It’s almost laughing at you now. This is getting embarrassing. You’re staring at a blank screen. No, this isn’t the start of a horror movie where your computer is about to come alive and chase you into a dark forest but it’s a very real moment for some designers. In fact, it can often be paralysing. The hardest part sometimes is starting. You’re stepping into the unknown and that can be scary. Part of the reason the blank screen is intimidating is because there isn’t a solid foundation to work from. By that I mean you simply need more information about the project you’re working on to guide you. In the Learn from Great Design with design agency Rally Interactive, I highlighted how they came up with great ideas for the National Parks app for National Geographic using research. They gave themselves a solid foundation to work from by looking back into their history before they ever started designing on screen. Before the start of a new project, gather as much information about the business and project as you possibly can, even if you think it is irrelevant. Rally Interactive’s branding idea for the National Parks app came from a 29 year old physical stamp collection system. Research is a stage many designers don’t spend enough time doing or think it’s someone else’s job. It certainly can be but it’s much better to be at the heart of it to really get an understanding of what you need to do. Some designers are afraid to ask their boss/client questions because they think it may give them the impression they don’t know what they’re doing or it makes them look “weak” but it couldn’t be further from the truth. Asking questions is the only way to get inside the heads of the people who run the business and the specific project you’re working on. Asking the right questions and explaining why you need to ask them is actually more professional as you’re building trust that you are the right designer for the job, even if you’ve already been hired. Find out what the goals are for the project. A client or boss may simply say they need a new website which may be the case but you have to dig deeper to find out why. Once you get to the heart of the reason, you already have a direction to head in. A project can’t succeed if no goals have been defined or otherwise you’re just designing with no purpose. How can you know what success is for the business/project owner without asking? Simply ask what does success look like for this project? Don’t forget about customers. Ask them questions too. If you’re working on a design for something brand new that has no customers yet, research customers using similar products or services to find out what they’re saying. Find out what they need most and what their biggest problems are. Most designers don’t talk to customers or even carry out a small amount of research to help build a foundation. 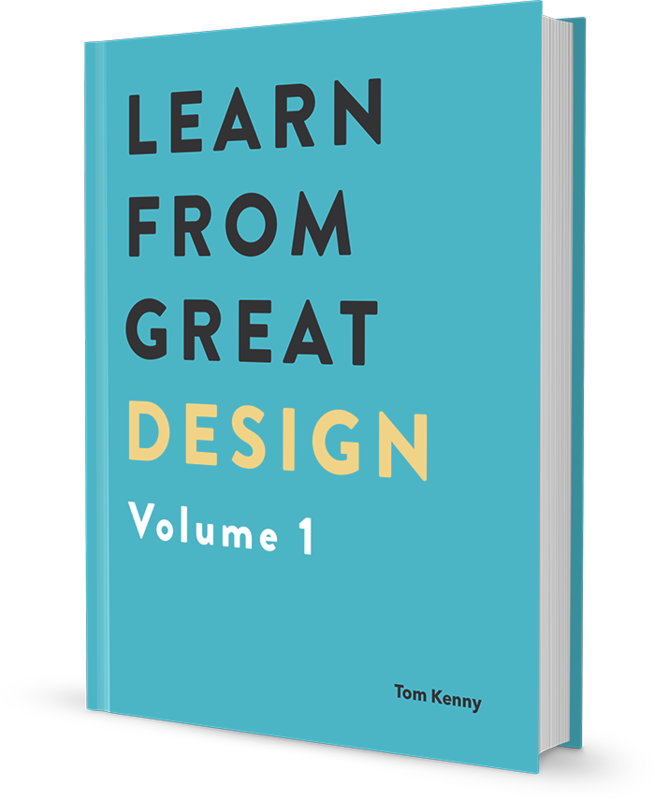 Ask most designers if they would like more freedom in their work and you will almost certainly be greeted with a firm yes but when we have all the freedom in the world it can become more difficult to generate great ideas not easier. This freedom gives us many possible directions we could take, which sounds great but it can actually have a negative affect on creativity. It becomes too much. In a Californian market, a study was carried out with jam jars. The experiment consisted of having either 6 or 24 jars of jam on show. 60% of customers took notice of the larger selection, while only 40% stopped by the small one. Interestingly though, 30% of customers who were presented with the smaller selection decided to buy while the selection with more choice, only produced sales from 3% of customers. Now, you might be wondering what a study on jam jars has to do with creativity but as we can see from the study, faced with many more times the options, people are more likely to choose nothing at all. When it comes to creativity, more choices mean we’re more likely to stall because it’s more difficult to make a decision. This is why we struggle at the blank screen stage. Constraints force us to head in a direction by giving us fewer choices, making the decision process easier and quicker. On top of this, you’ll be heading in informed directions, not wasting hours and sometimes days trying to discover which way you should go by yourself. It’s natural for you to want to give yourself more freedom but what you need to do is give yourself more constraints. Now you have a solid foundation to build from, it’s time to start experimenting. If you start experimenting without a solid foundation, the “walls” you build are more likely to come tumbling down around you as you struggle to build an idea. You’ll likely have a few paths to go down at this stage so this is where deliberate experimenting comes into play. If you head down one path and it isn’t really working you know you only have a few other ways to try. Experimenting on it’s own can help with the blank screen stage but combining it with the foundation you’ve built is the winning combination to getting past the blank screen. If you do the right amount of preparation work building a solid foundation before you start using Photoshop or Sketch (or your design tool of choice), you’ll find it much easier to get past that intimidating blank screen. You’ll be the one laughing now.